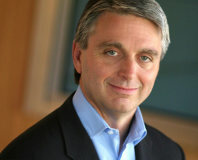 Reports are circulating that the company behind game engine Unity may be up for sale. According to CNET, Unity Technologies has shared presentations with potential buyers, one of which is Google according to sources close to the matter. More advanced talks have also taken place with at least one other potential buyer in recent months. It was also reported last month that Unity Technologies might be considering a sale and have had the company valued at between $1bn and $2bn, adding support to the idea that the company could be shopping around for a buyer. Unity has grown to become a multi-platform engine and is one of the most popular game engines with triple-A and indie developers alike. Users range from hobbiest developers and students all the way up to powerhouse developers like Blizzard, which used the Unity engine to develop its hugely successful digital card game Hearthstone. Additionally, it is tremendously popular with mobile developers with an estimated half of all mobile game developers using Unity. It is unclear what a sale of Unity Technologies would mean for developers or for the future of the engine itself. Unity was often considered to be a good choice of engine due to its affordability with licensing fees being manageable by smaller developers when compared to larger and more established engines. Competition in this market has however recently heated up with both Unreal Engine and CryEngine moving to a much more accessible subscription model earlier this year. 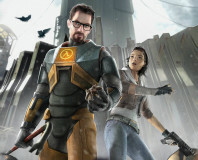 Valve has announced the Source 2 engine, the successor to its decade-old Source engine. 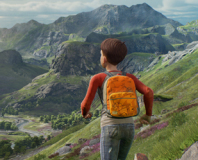 Epic Games has moved Unreal Engine 4 from a subscription model to a completely free download.